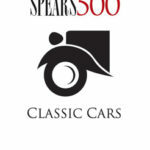 Fiskens is the renowned central London-based classic car dealership founded by Gregor Fisken, a British racing driver and businessman who races historic and modern-day sports cars. He is one of a small handful of drivers to have driven in all four classes at the Le Mans 24 Hours motor race. His record as a businessman in the industry he knows best has been no less impressive, thanks to ‘a childhood spent immersed in vintage automobiles’. He took on a mechanics apprenticeship for pre-war automobile restorer and dealer Bunty Scott-Moncreiff, then went on to leading auction house Coys before opening his own dealership, Fiskens Fine Historic Automobiles, in South Kensington in 1996.